The original Roman goddesses did not have distinctive personalities, human form, family histories or myths about their lives. The humans did not attach a story in regard to the Goddesses. Instead, these deities were manifestations of what the Romans termed “numina”, the divine essence that could be found in all living things and places. The Romans had a different God/Goddess/Deity for every aspect of their natural surrounding due to their strong belief in the concept of numina. These Roman Goddesses were closely linked to the varied needs of the people in their everyday life. The Romans built temples for each of the Gods and Goddesses. 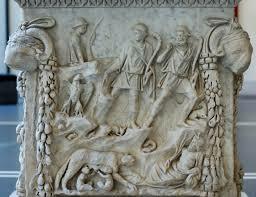 The Romans believed that Gods and Goddesses lived everywhere. They believed that everything had a spirit or a supernatural power in charge of it. The Minerva was the goddess of wisdom, crafts, and war. Her symbol was helmet and armor. 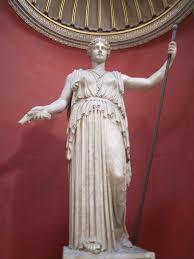 She was worshipped in the great temple that crowned the Capitoline Hill (Monte Capitoline) in ancient Rome. It was the Minerva who created the olive tree and invented the flute. Venus was the Goddess of love and beauty and was associated with the vegetable gardens. She was the daughter of Dione and Jupiter. Caesar constructed a temple at the Forum in her honor and her festival, the Veneralia, was celebrated on April 1. 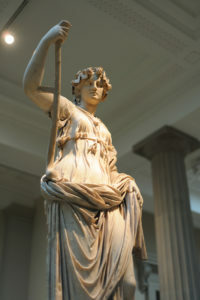 Juno was considered to be the queen of all the Gods/Goddess of women and childbirth. Her symbol was the peacock, the bird of beauty. Her special festival, the Matronalia, was celebrated on March 1. Aurora is known as the Goddess of the Dawn. 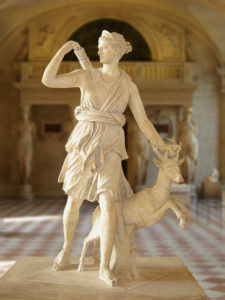 Diana is the Goddess of the Moon and of the Hunt. She is also famous as the Triple Goddess representing the Lunar Virgin, the Mother of Creatures and the Huntress or Destroyer. Her symbol is that of a young hunter, often carrying bow and arrows. She was the daughter of Jupiter and Latona. She liked music and dancing and believed in granting an easy childbirth to her favorites. The most celebrated shrine to Diana was on Lake Nemi, near Aricia. She is praised for her strength, athletic grace, beauty and her hunting skills. With two other deities, i.e., Egeria the water nymph (her servant and assistant midwife) and Virbius, she made up a trinity. Ceres, the Goddess of sowing, reaping, agriculture, grain, crops, initiation, and civilization, was the daughter of Rhea and Saturn. She drove a chariot drawn by winged dragons and held the torch, ears of corn, wheat, and poppies. She was also known as the Corn Goddess, the Eternal Mother, the Sorrowing Mother and the Grain Mother. She was the protector of women, motherhood, and marriage. Her worship involved fertility rites and rites for the dead, and her chief festival was the Cerealia. The nine daughters of Saturn and Mnemosyne (memory) personified the highest level of achievement of artistic and/or intellectual minds. 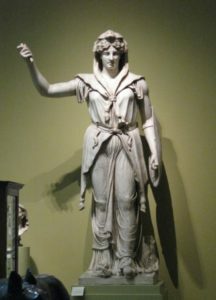 All of them have been associated with a specific aspect, i.e., Calliope – epic poetry, Clio – history, Euterpe – flute playing, Erato – lyric poetry, and hymns, Terpsichore – dance, Melpomene- tragedy, Thalia – comedy, Polyhymnia – mime, Urania – astronomy.